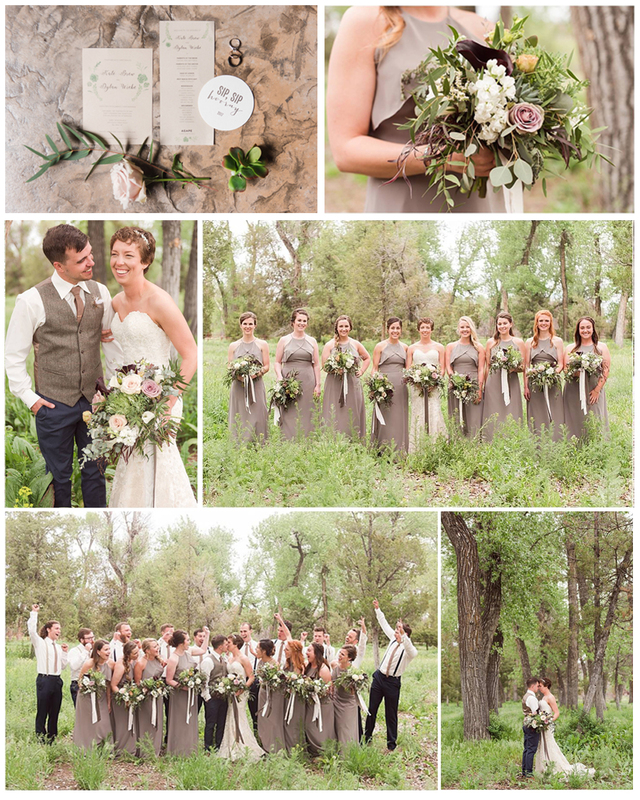 This couple and their family oozed with the most beautiful and supportive love. They were such a selfless and giving family - and it really resonated all throughout the planning process. At our first meeting, kate, the bride and her mom shared their vision for the day. The wanted our help to incorporate Kate and Dylan’s simple and clean style into their May 2017 wedding reception decor. They loved the idea of using textures like metal, wood, and cement to bring a salvaged feel into the large reception space. The color palate was inspired too, sticking with pops of navy and neutrals like taupes and greys mixed with natural elements and dusty greens. We draped soft sheer ivory ceiling panels alongside the venue’s exposed wood ceiling beams to soften and bring the tall ceilings down a tad to warm up the room. Guests were greeted by an rustic/urban styled lounge grouping placed near the bar to offer guests a cozy area to mingle and converse throughout the evening. A large uplit fabric backdrop of neutral colored velvet and silk dupioni stood behind the head table to offer a focal point that wowed guest and covered a good portion of the venue’s exposed particle board walls. Large metal and wood pieces adorned with branches, greenery, and edison lights suspended in front of the backdrop. Extra large geometric cubes suspended in the space above the head table, dance floor and guest tables, illuminated with bowling ball sized edison lights and crystal chandeliers. The newlyweds enjoyed their first dance as husband and wife on the centrally located dance floor, with the large focal backdrop in the background. During dinner and toasts the newlyweds sat surrounded by their bridal party at a long wood table with their family tables close-by. Cinder blocks adorned with succulents topped the guest tables and effortlessly round out the entire space. The cake and sweets display was made up of wood and metal elements and placed across the dancefloor from the head table - this mouthwatering display perfectly completed the room.